Microsoft today has announced the general availability of Visual Studio 2010 and .NET Framework 4. In a press release today, the company announced that VS2010 and the new .NET Framework 4 will be available for developers after the launch event which is taking place in Las Vegas today. The final version of Silverlight 4 will also be available later this week. The new release of Visual Studio 2010 has plenty of compelling new features and updates that will make every developer more productive. · Visual Studio 2010 allows users target of the right platform for their application, including Windows 7, Windows Server 2008 R2, SQL Server 2008, SharePoint. Office, Windows Azure, and Windows Phone 7 applications using their existing skills. · Visual Studio 2010 is a rich, personalized development environment. We know that software developers spend much of their time in the IDE, and features like the new editor and multi-monitor support make your time in Visual Studio more productive and enjoyable. · Teams are able to work more efficiently using Application Lifecycle Management tools. We’ve done a great deal of work in Visual Studio 2010 to improve testing and debugging tools. Features like IntelliTrace and easy project management help your team ensure high quality. MSDN subscriber, WebsiteSpark, BizSpark and DreamSpark members will be able to download it on Monday morning. Express editions of VS2010, along with trial versions of all SKUs will also be available for everyone to try. Download links for the final version of VS2010 and .NET 4 will be posted as soon as they go live. 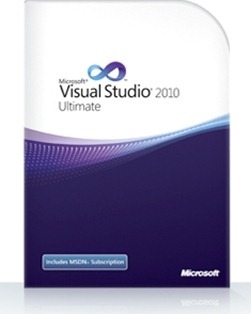 UPDATE 1: The final bits of Visual Studio 2010 are now up for MSDN Subscribers ! Download it from here. If it was supposed to be available to download on Monday morning, why isnt it up on dreamspark yet? How about backwards compatibility? I currently have 5 versions of the .Net framework installed – 2.0 SP2, 3.0 SP2, 3.5 SP1, 4 Client Profile, 4 Extended. It is getting ridiculous!